In hospitals and medical care facilities, time is critical. Reports, charts and recorded procedures require consistent time entries to ensure accurate record keeping. With an accurate synchronized clock system hospitals can reduce time-based billing and insurance disputes, proactively minimizing risk. Efficient time management is an essential attribute for doctors, nurses and staff to possess in order to effectively tend to patients’ needs. It’s important for hospitals to provide their staff with the resources that can maximize this skill because the well being of patients as well as the reputation of a hospital hangs in the balance. Implementing a synchronized clock system is the most effective way to maximize time management skills in a hospital. 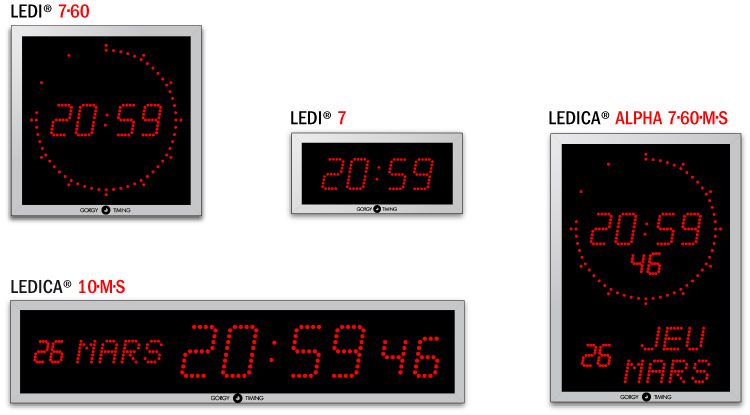 A synchronized clock system can provide many benefits for a hospital that cannot be duplicated. Assisting in Code Blue Situations: Code Blue situations are extremely serious and every second counts. Utilizing Sapling’s digital clocks in conjunction with the Elapsed Timer lets doctors and nurses know how much time has passed since the patient has been in a Code Blue situation. Administering Medicine and Minimizing Legal Issues: It’s important that a hospital’s medical staff is able to administer medicine on time and accurately. Failure to give medicine to patients at accurate times could potentially have serious ramifications and legal issues. With a synchronized clock system, you can avoid legal hassles, continue to provide patients with top-level care and administer medication on time, all the time. Keep the Most Accurate Records: Are your nurses and doctors still keeping track of time with their wristwatch or cell phone? Keeping track of medical records becomes much easier when there are uniform time displays throughout a hospital. Keeping track of vitals, medications, surgery times, etc. is done easily with a Sapling synchronized clock system in place.